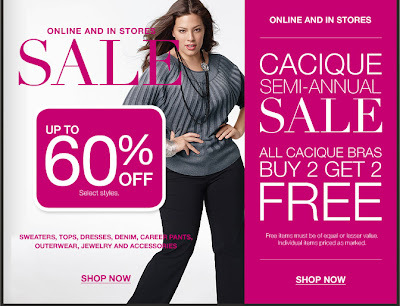 I went to my local Lane Bryant/Cacique today to take advantage of their Semi-Annual Sale. My visit started with a bra fitting, then shopping with an associate for bras that fit my bust type. Less than an hour later, I walked out of Lane Bryant/Cacique with four bras for the fabulous price of $89. If it weren't for the sale, I would have paid $162! Needless to say, this sale is an amazing opportunity to purchase everyday bras and lingerie. The Semi-Annual Sale ends January 13th so shop now before these good deals are gone. Your post totally made me go there today, and I got 4!! $70, and one of them is super cute! I only wear bras from LB and last time I went to buy bras I found out my favorite bra was being discontinued, so I also got fitted & found I was way bigger than I was wearing. I totally got a deal and stocked up on my bras that were no longer going to be sold. I ended up buying 6 and paid like $60. 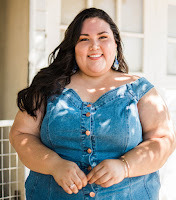 I know many other plus size blogger dislike LB, but I think so far it's one of the better plus size retailer that are main stream and accessible to all. I always find great deals and have even bought things for $6.99!